Earlier this year Drifters launched Private Botswana Camping tours for small groups of 2 to 12 people. The tours are booked on request and each itinerary is tailor made to fit the time schedule of the clients. 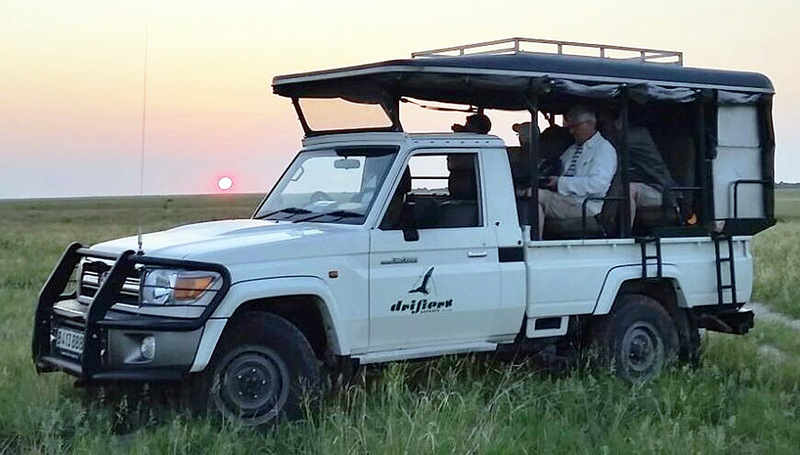 Drifters now offer clients the opportunity to visit all the National Parks like Moremi/Savuti/ Chobe/Central Kalahari/Makgadikgadi/etc. The tours offer clients a private vehicle fully equipped with private guide and assistant. This means our staff will take care of the camp setup and meal preparations giving guests more time to relax and enjoy the surrounding areas. Although it is still a camping tour we provide guests with a comfortable camp bed and linen each night.